During the year past there have been some major hormonal events that will have a lasting impact on medical practice for decades to come. Firstly, the hormone testosterone represents the first realistic preventative treatment for limiting the advancement of Alzheimers Disease. A world first human study using testosterone to examine the effects in the human brain, specifically the protein beta-amyloid which destroys the brain in Alzheimers Disease sufferers, is in the final approval stages. The study will start during early 2013 in Australia. The implications of these findings on the health of an aging population in the western world are enormous. Unlike many breakthrough medical findings, where new drug treatments can take years to reach the market, testosterone is available now. For patients diagnosed with Alzheimers Disease and their families time is of the essence. For further details see our news release page. In 2002 "exuberant and sensational" world-wide media reporting on a very small aspect of the initial findings from the Womens Health Initiative (WHI) study saw women abandoning the use of estrogen -based hormone replacement therapy in their droves. Ten-years on, the pendulum has swung back to the bottom of its arc. The science is clear that estrogens do not cause breast cancer and the "at risk" group of women are now clearly identified. Women can confidently manage menopausal symptoms and enjoy an improved quality of life during the menopausal transition using HRT for up to five years without increasing the risk of breast cancer. In October this year in the USA an outbreak of fungal meningitis across 19 states has resulted in 37 deaths. The outbreak was due to contamination of three batches of product made by a compounding pharmacy. This will undoubtedly change the way compounding pharmacies operate in the USA, Australia and the world. Unlike mainstream pharmaceutical manufacturing which is highly regulated by government, compounding pharmacies are largely unregulated by State Boards due to a lack of expertise and man-power. While the meningitis outbreak is still being managed the fall-out will extend into 2013 and beyond. Legislation to regulate compounding pharmacies will surely follow. Much of the business of the compounding pharmacy industry revolves around hormones. At Lawley Pharmaceuticals we continually get correspondence from patients who have used compounded products with little or no effect. Testing of many compounded products often reveals sub-therapeutic levels of active ingredients. The quality controls of government-regulated pharmaceutical manufacture ensure patients get what is prescribed. See my blog for more detail on this issue. Men have plenty of options for using pharmaceutical grade testosterone. 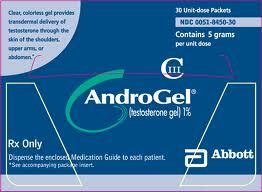 2012 saw women's testosterone options reduced from two products to one. The Intrinsa testosterone patch was discontinued in Europe due to lack of sales. The restrictive limitations of the regulatory approval for Intrinsia made the product commercially unviable. Over a billion dollars had been spent on getting Intrinsa to the market. It was rejected by the FDA in 2006 due to lack of long-term safety data. This decision leaves Lawley Pharmaceuticals AndroFeme 1% testosterone cream as the only pharmaceutical grade product available world-wide. We have many clinicians and researchers from around the world seeking AndroFeme to continue on-going research work. It is our long-term plan to have Andro-Feme registered in the USA and Europe; however for the moment online supply is the only option. Globally, 2012 has challenged governments, business, families and individuals economically. I believe the prospects for 2013 are greatly improved at least in the medical area of male and female hormonal healthcare. I founded Lawley Pharmaceuticals with the aim to provide patients and physicians world-wide with pharmaceutical grade bio-identical hormone products that achieve the best clinical outcomes with the highest degree of safety. In 2013 I am confident our work will expand these aims. 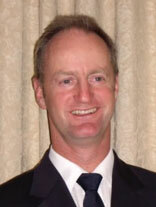 Our decision to change our international shipping to ILS Ltd in 2012 has been an outstanding success. Pharmacist , Saul Kaye and his dedicated team at Hormone-Skin-Cream have worked tirelessly to ensure that goods are processed swiftly and customers are advised of tracking details immediately their goods are shipped. If any problems arise they are dealt with professionally and resolved quickly. Service has been excellent allowing me to continue to benefit from the product. The product itself is great, does the job well, is easy to use and reasonably priced compared to the US pharma giants. I receive the shipments promptly and with no issues. Keep up the good work and I will continue to be a happy customer. I found hormone-skin-cream.com on the internet and was a little skeptical about purchasing from them. I placed my first shipment and and was amazed at what good service I have received. The package was processed extremely fast. I was given a USPS number that showed the package had shipped. I received my parcelin 2 weeks. The product came exactly as I imagined it. I am now on my fourth package!. Lawley Pharmaceuticals fully supports ILS with any clinical questions. Our US and Canada number is 1-800-961-7650 if there are any product questions. Questions in relation to the processing or shipping of parcels should be directed to ILS or on 1-888-543-6076. I regularly get asked by patients currently using Androgel who are considering changing to AndroForte 5 due to the financial cost, lack of absorption, concerns about transferring testosterone to a child or because of the large volume of gel that needs to be applied. I answer this question in two short videos which I've loaded onto YouTube. over an injection or patch? This is one of a series of videos I've made which address many commonly asked questions about the hormones testosterone, progesterone and many hormone related medical conditions such as menopause, male and female low libido, menstrual irregularaties, erectile problems and bone loss.